Description : Zingku service is designed from the mobile phone, outward, allowing you to create and exchange things of interest ranging from invitations to mobile flyers with friends in a trusted manner. 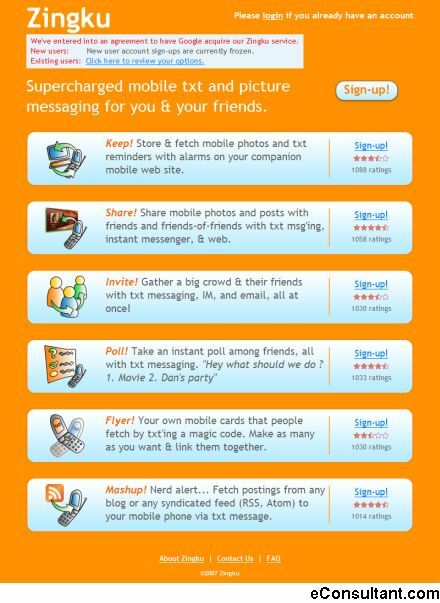 On the mobile phone, Zingku uses standard text messaging and picture messaging features that come with every phone. On the web, Zingku service uses your standard web browser and instant messenger. There is nothing to install.